As if the problems with the investigation into the ABA past president salivating to launder money during a recent 60 minutes broadcast was not enough, with no apology from the ABA or explanation, and then they pulled about 100+ comments when my suspension for (honestly) blogging about corruption in the courts in Illinois and elsewhere was not enough for them, apparently the ABA has enough clout to also pull a Wall Street Journal article on how they at first agreed to help a Chinese dissident lawyer publish a book on corruption in China, and then they went and pulled their support. Since the WSJ article was pulled and now the ABA seems to be complicit, and you know this blog has absolutely no tolerance for any such shennagins, I have published it in full below. No wonder why the majority of the American public has abandoned mega media and now fully 60% of Americans read blogs and the internet for the news and absolutely reject mega media because it’s too unreliable and biased. Read on, and I pledge that if there is a human or civil rights story pulled by mega media because someone wants to aid and abet human and civil rights violations, it for sure will be published here where I have absolutely no tolerance for such heinous shameful behavior. A feud between a Chinese human rights lawyer and the American Bar Association over a proposed book has gone from bad to worse. 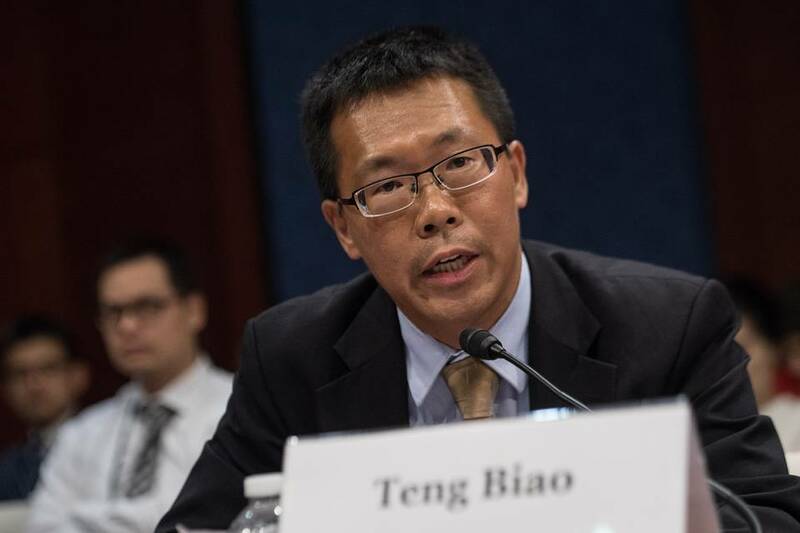 Teng Biao, a prominent Chinese lawyer and rights activist who now lives in the U.S., on Thursday accused the ABA of lying about its handling of the book proposal the organization made to him in 2014. The ABA’s Chicago headquarters didn’t immediately respond to a request for comment. In the letter to lawmakers dated Monday, ABA President Paulette Brown and executive director Jack L. Rives said that the group rescinded its book offer to Mr. Teng for economic reasons, not to avoid offending the Chinese government and potentially jeopardizing its operations in China. News of the cancelled book deal was first reported by Foreign Policy, which cited emails Mr. Teng had exchanged with the lawyers’ organization. The rare public battle has thrust out into the open the question of how governments, companies, nonprofit organizations and others make decisions in light of the threat – real or perceived – of retaliation by Beijing. It also comes as the ABA is coming under increasing fire from critics who argue the group is too reticent when it comes to speaking out against rights abuses and a clampdown on civil society under Chinese President Xi Jinping. In his email, Mr. Teng accused the ABA of attempting to distort the facts of its book offer. The organization’s executive director of publishing, he said, first contacted him in October 2014 about the possibility of writing a book on human rights in China. That was followed by a formal offer in December 2014, Mr. Teng said. “So I can definitely say ABA is lying here,” Mr. Teng wrote, citing the group’s statement that it its retail distribution partner had advised it in November 2014 against publishing due to its projection that the book would not sell well. The episode underscores the difficult decision facing the ABA between continuing to work to advance the rule of law in China and criticizing the repression of civil rights under Mr. Xi, said Nicholas Bequelin, East Asia director for Amnesty International. The commission, headed by Sen. Marco Rubio (R-Fla.) and Rep. Chris Smith (R-N.J.), plans to invite Mr. Teng and the ABA to discuss the issue at a hearing next month, a spokesman for the panel said. This week, several cases have highlighted that the Chinese government’s temper looms large on the global stage. The Danish toy company Lego A/S said it had made a “mistake” earlier this year by refusing to grant an order of blocks to Ai Weiwei, a Chinese dissident artist who is often a thorn in the government’s side. In an interview, a screenwriter on Marvel Studios’ “Doctor Strange” said the studio changed the ethnicity of one of the story’s characters from Tibetan to Celtic. These and other cases illustrate that “seemingly more and more actors are playing the censorship game to ingratiate themselves with the government,” Amnesty’s Mr. Bequelin said. –Felicia Sonmez. Follow her on Twitter @feliciasonmez.